We’ve had some leftover rotisserie chicken in the fridge waiting patiently to be used. And to be honest, most of my leftover chicken recipes are so boring. The leftover white meat usually gets thrown in enchiladas or loaded nachos or chicken salad. Have I lost you in the boredom yet? Ugh. So it was finally time to put my foot down and do something new with the poultry. 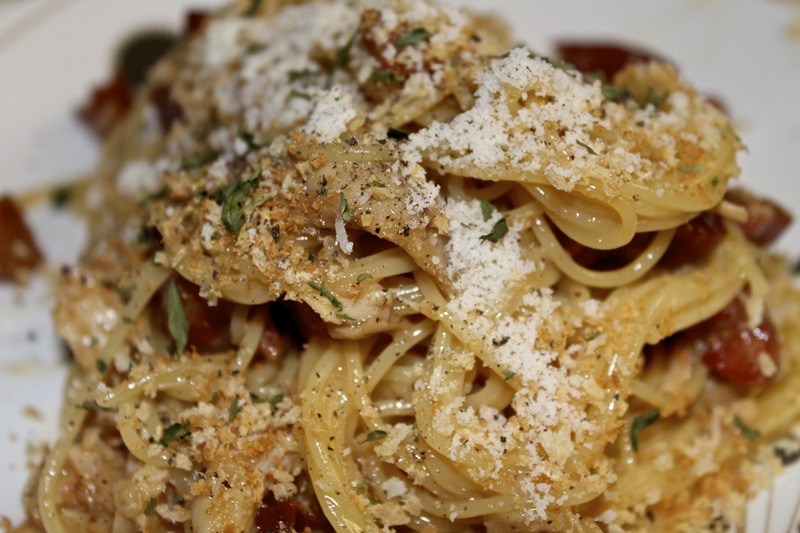 One of my most favorite dishes ever is pasta carbonara. It does wretched things to my digestive system but it’s just so worth it*. *Update: My tummy was absent of aches last night! Maybe my year of pescatarianism cured it? 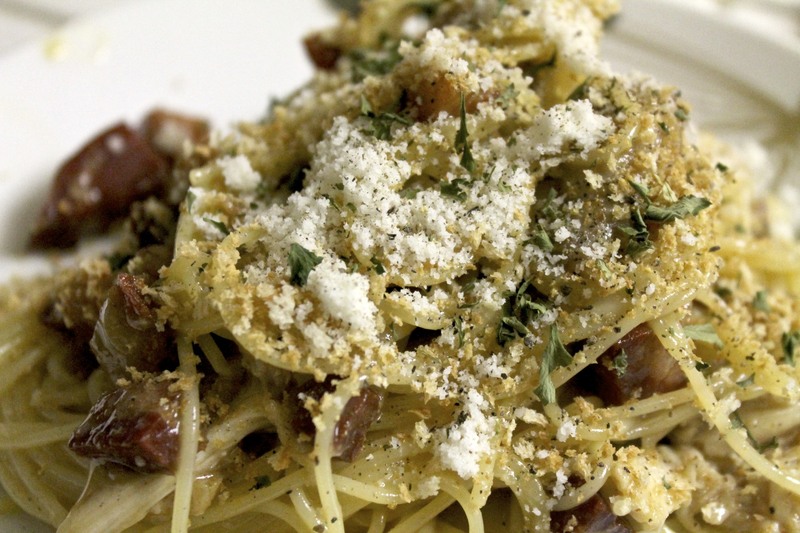 Pasta carbonara is basically pasta and pancetta tossed in egg and cheese (Pecorino) with a ton of black pepper. Its simplicity is what makes it so divine. It’s a Roman dish and one of life’s greatest comfort foods. I’ve been told that late at night, after a play, Romans would go home and make a variation of this for a midnight meal. My carbonara is simple—no whistles and bells, and all I did was toss in some rotisserie chicken to the cooked pancetta in the hot pan. I also added some crunch by toasting some Panko and sprinkling that on top. This is a dish that requires some splurging on good ingredients. 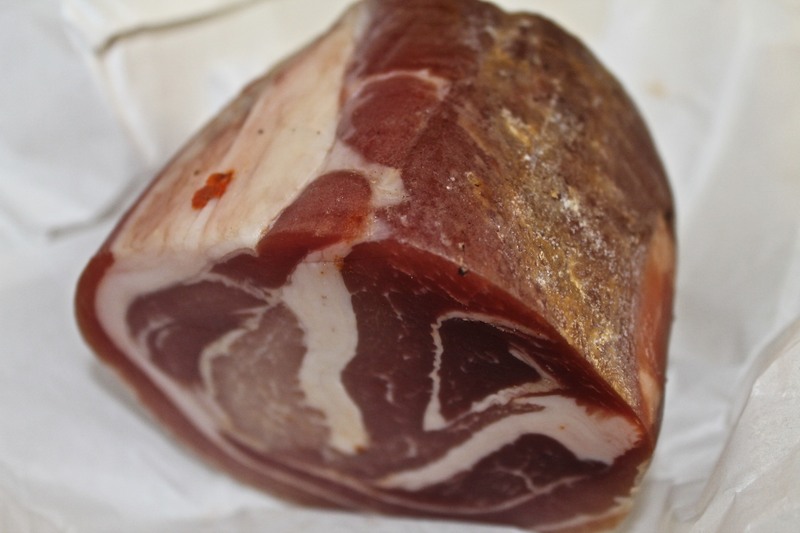 Use real Pecorino Romano (so salty and pungent from the sheep’s milk) and get good grade pancetta from an authentic Italian market. It can be costly (pancetta usually runs about $10 per pound) but the end result will make you forget about your lighter wallet. 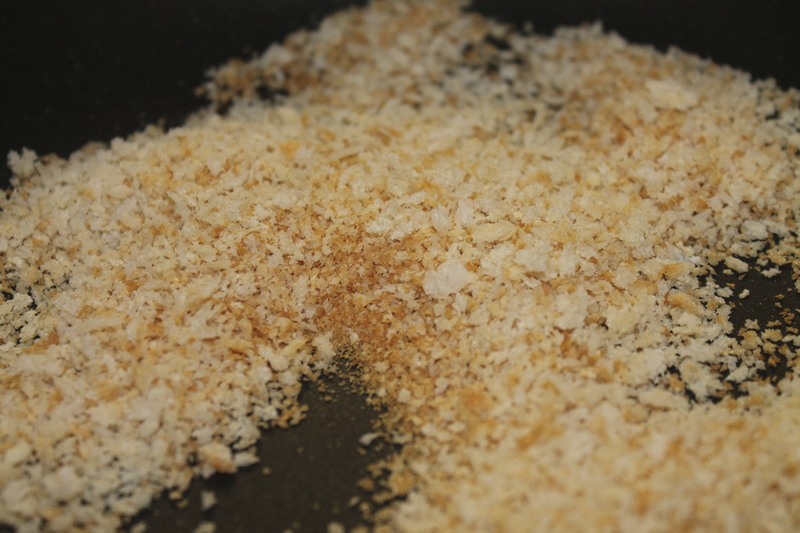 Toast the Panko crumbs in a dry pan over low-medium heat until golden. 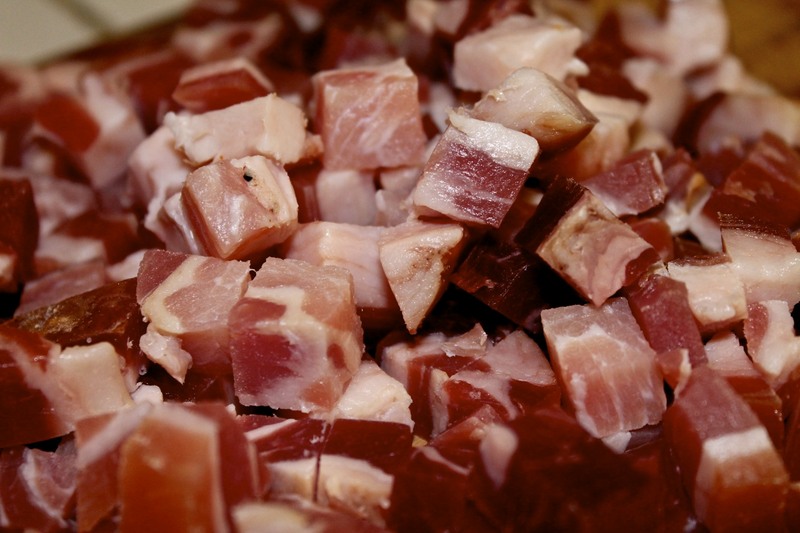 Meanwhile, cook the pancetta in a dry, hot pan over medium heat until fat has rendered, about 15 minutes. While your pancetta is cooking, whisk up the eggs. You may add a splash or two of cream if you like. I would’ve but had none on me. It works with or without it, so don’t stress. 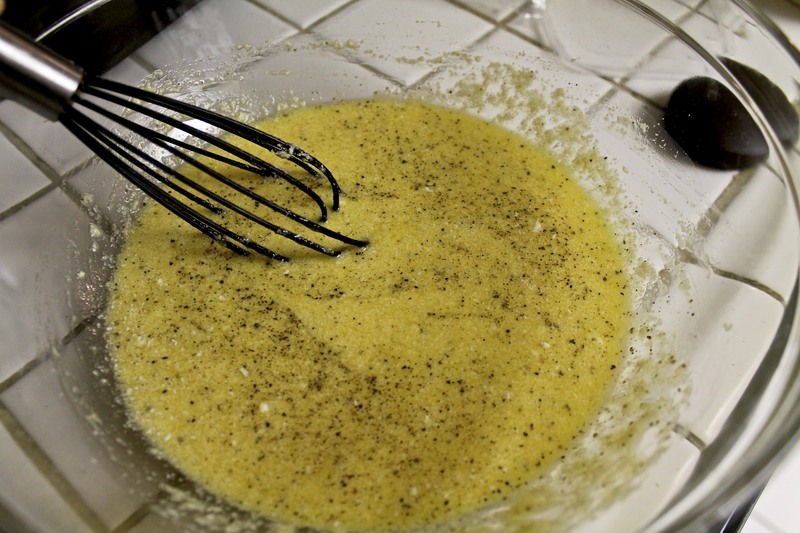 Add the cheese and lots of black pepper to the eggs and whisk to combine. I estimated on the amount of cheese I used. I use enough to turn the eggs into an almost cake-batter consistency. 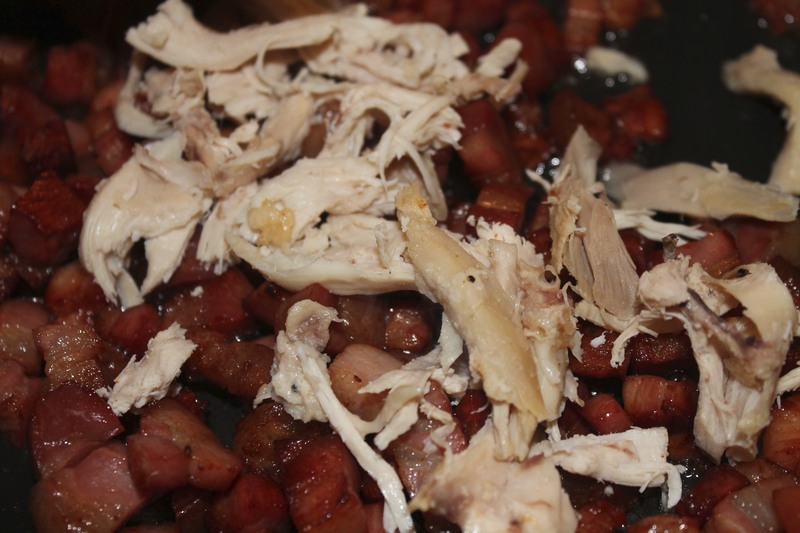 Once your pancetta is cooked, toss in your chicken and coat it in the pancetta fat. Turn the heat off. Add your pasta and toss, adding some of the starchy water you saved to un-stick the pasta. 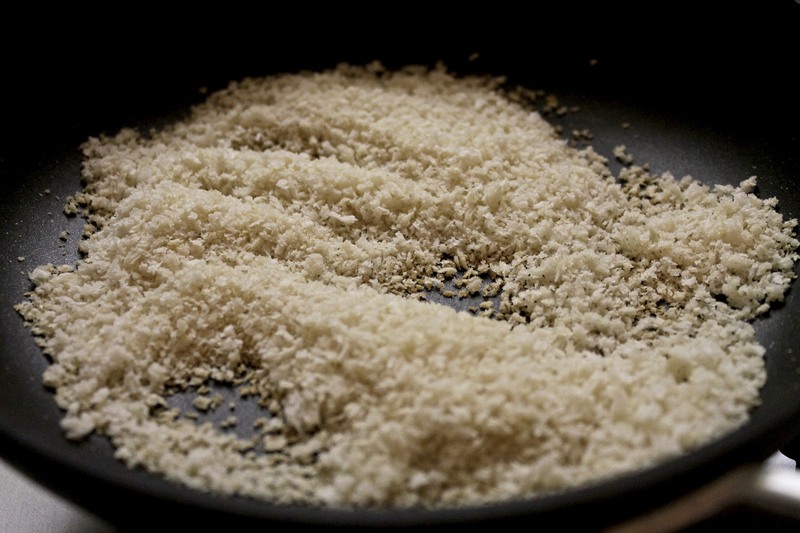 Serve up on individual plates and sprinkle with parsley, Panko, more black pepper and Pecorino. Enjoy eating like a Roman. And because it’s Friday, here’s a little youtube treat that incorporates my whole “Roman” theme….sorta. Have a superb Super Bowl weekend. I don’t care about either teams so I’m just using the day to pig out. Who are you all rooting for?